Sydney’s world-roots-jazz quartet The Vampires return to the Jetty Theatre in March. They will be launching their sixth and latest album, “Pacifica”, following up on the success of their 2017 album “The Vampires Meet Lionel Loueke” which was nominated for an ARIA Award and shortlisted for the Australian Music Prize. 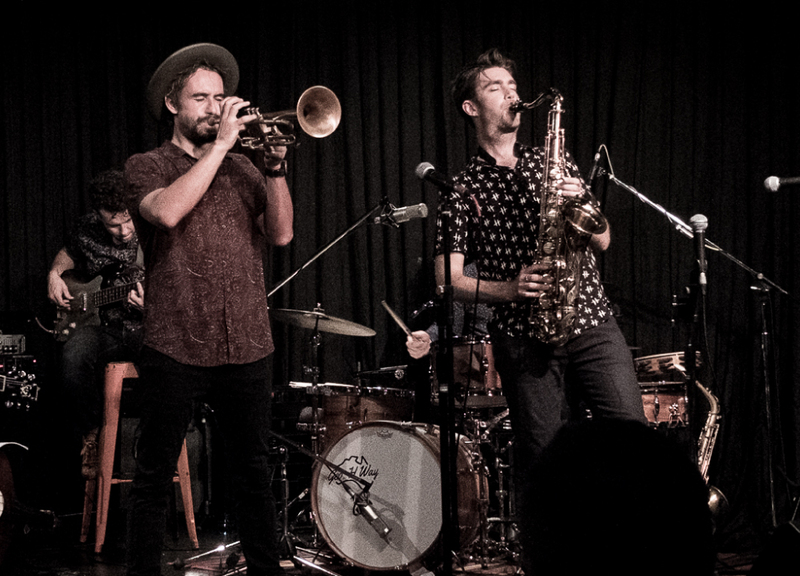 Combining risk-taking improvisation, sophisticated compositions and an uncanny sense of dialogue between the sax-trumpet frontline, the band has developed a style of its own that effortlessly combines influences from all corners of the world. The band is now dispersed around the globe, with bassist Alex Boneham living in Los Angeles and trumpeter Nick Garbett living in Italy, so this tour will be playing their only shows as a quartet in Australia for 2019.